ROYLE KATOCH brings to you this smart and cute table clock with an alarm feature that doesn't take much space and makes a great piece of decor at home or office. 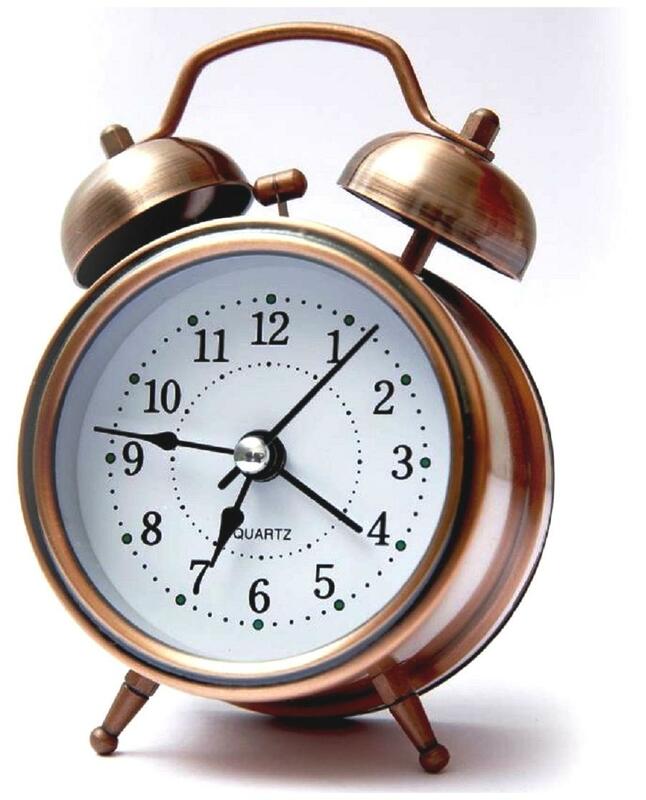 Glass Front Clocks - Clear digits and calibrations are well printed on the clock, easy-to-read analog alarm clock. Loud Melody Alarm - Alarm starts and stays at loud, good helper for those kids/teens who has trouble waking up and heavy sleeper. Simple to Use Quartz Alarm Clock - Quartz movement ensures time accuracy, requires AA Cell (NOT Included), without thinking about power goes out and wires. Night Light: This clock comes with an inbuilt light so that you can easily check the time at night. Vintage look Table alarm Clock With Led Light Perfect For Home And Office Desk. Loud Melody bip bip Alarm - Alarm starts and stays at loud, good helper for those kids/teens who has trouble waking up and heavy sleeper.